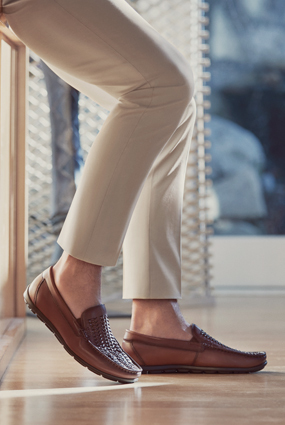 Florsheim shoes are designed to be as comfortable as they are great looking. Staying one step ahead of the latest in men’s comfort shoe technology, these shoes include features like cushioned footbeds, breathable linings, rebounding insoles and outsoles designed to make your stride easier. If you are looking for comfortable shoes, our men’s Comfortech shoes have got you covered. You will find the best possible comfort technology in our Florsheim Comfortech line. This collection offers all-day comfort through patented insole and outsole technology. Comfort and durability, coupled with great design is the perfect equation for your feet.